This excellent el presidente cocktail is so delicious, I wish I had discovered it long ago! It is perfectly balanced and oh so good! Peek a boo! That’s what this excellent el presidente cocktail is saying to you. 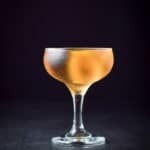 I heard about this el presidente cocktail many years ago, but never tried it because I wasn’t too sure about the vermouth. Which is funny because I like the rest of the ingredients. So, why would the vermouth turn me off? Maybe because when I worked at the Mexican restaurant many years ago, during one very boring shift, when a bunch of us were trying to find something to amuse ourselves, we each took a shot of vermouth because it was the ‘grossest’ thing we could think of to drink. Now, I’ve said this many, many times but I was a tequila loving, margarita loving person. Sure, at times I would order a daiquiri to prove I could drink something else. But I mostly stuck with my delicious Cadillac margaritas. So, I took the shot with my five other bored co-workers. I wanted to let it come back out of my mouth from my stomach, but I was proud then. Very proud. And I wasn’t going to show my weakness. At least, not to those hooligans. So, I swallowed repeatedly and made some grimacing faces, and I persevered. As you can see, vermouth is not something I liked then – none of us did – but I do now because my tastes (not to mention my behavior when I’m bored) have matured. 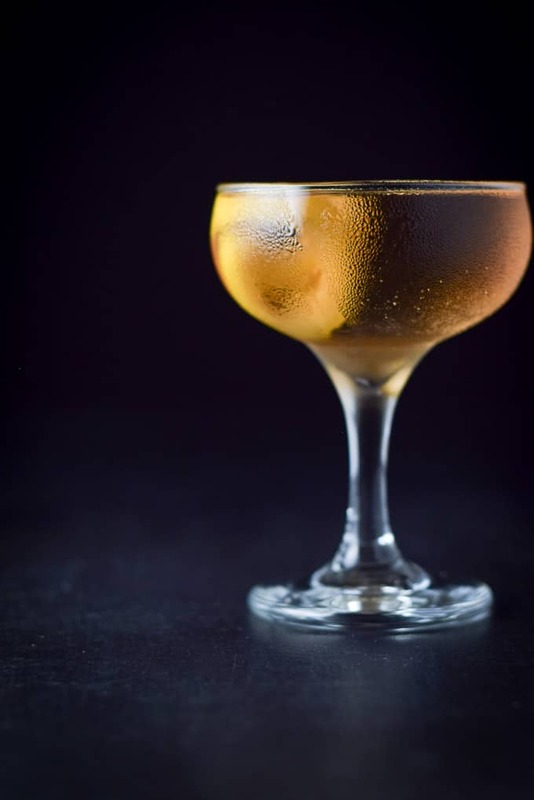 Today, vermouth is no stranger to my liquor stash or my cocktail recipes. 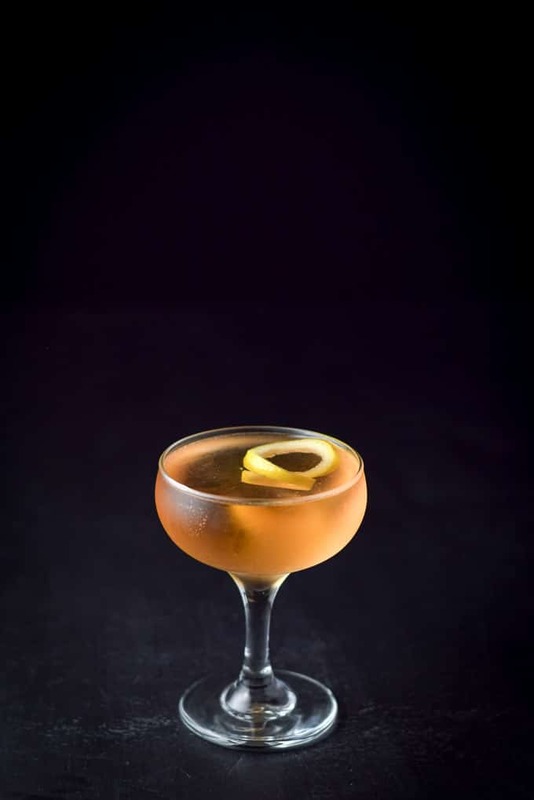 To begin with, the el presidente cocktail was invented in Havana, Cuba in the decade of 1910s and achieved great acclaim through the 1940s. So, I believe it is making a comeback. See, just a little history. Front and center, you see Cointreau, gold rum, vermouth and grenadine. I fill my cocktail shaker half way with ice and add 2 ounces rum (white or gold, not dark or spiced), 3/4 ounce Cointreau, 3/4 ounce dry vermouth and 1 dash grenadine. I also cap the shaker, shake the bejesus out of it, hastily grab my coupe glass and strain the contents into the glass. 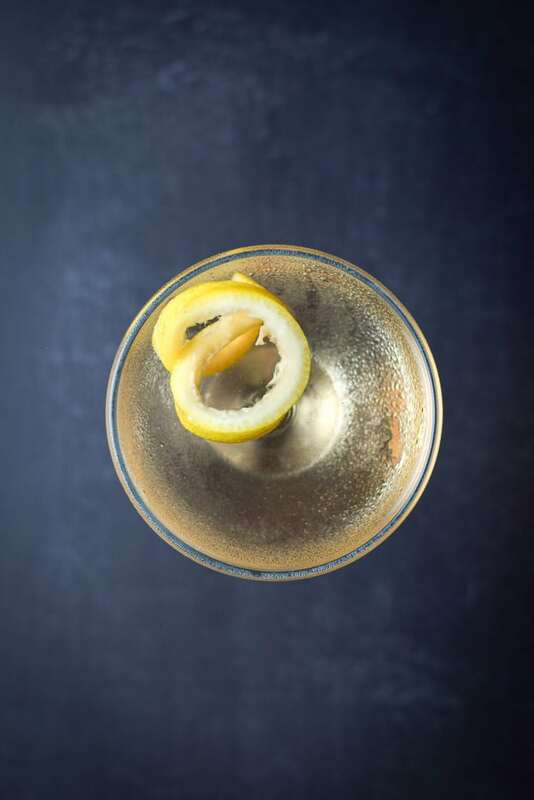 By the way, I previously cut a lemon twist and placed it in the glass. I certainly wanted to experiment with some moody photos, so here are various views. Tell me what you think. The aerial view because I think Christopher misses them. Finally, my favorite, Moody #Three. 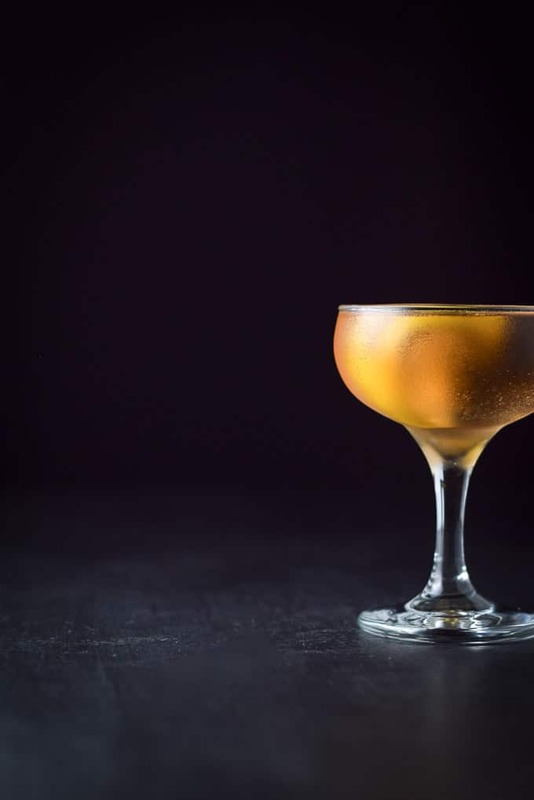 This el Presidente cocktail is delicious, so I can’t wait for you to try it and tell me what you think in a comment. 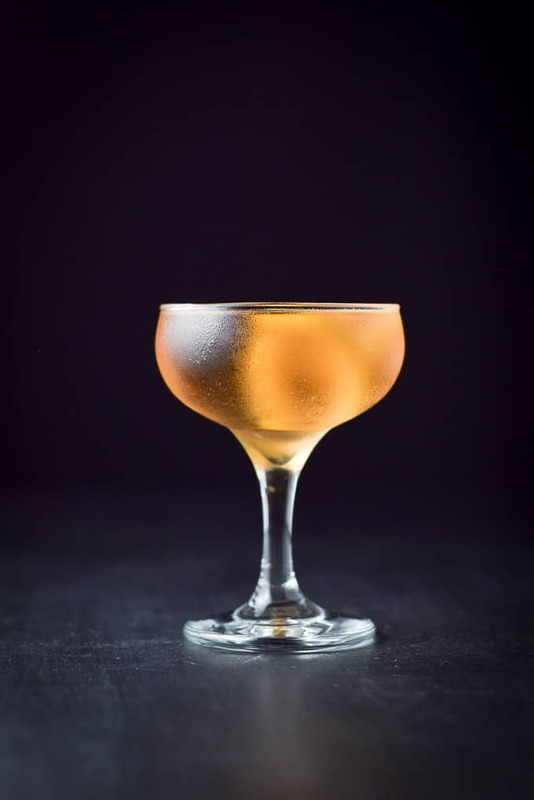 If you’ve tried this el presidente cocktail or any other recipe on the blog, I’d love the hear what you thought about it in the comments below. I love hearing from you! You can also FOLLOW ME on FACEBOOK, TWITTER, INSTAGRAM and PINTEREST to see more of my delicious food and delightful cocktails! This el presidente cocktail is so good. It's perfectly balanced and yummy! That looks like one classy looking cocktail! Great shots as well! This looks amazing and refreshing! Your photos are gorgeous. Thank you so much Brandi!! 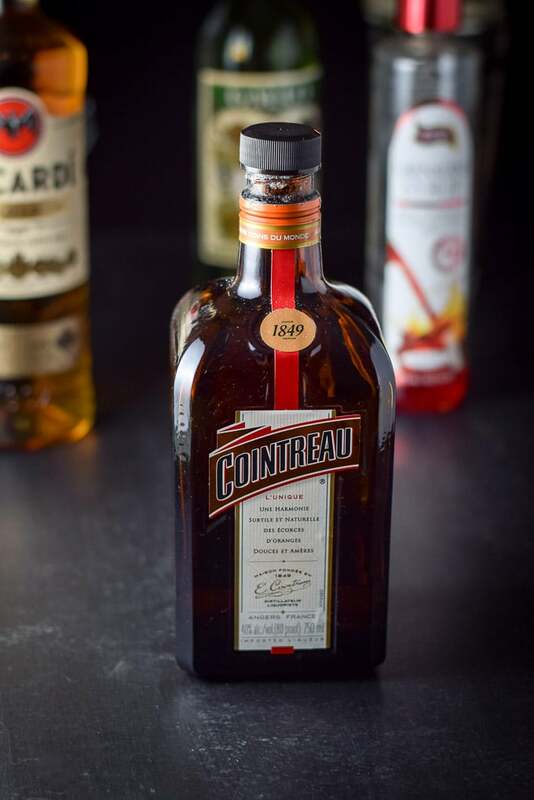 I don’t think I’ve ever had this drink before – but I love cointreau! sounds yummy! What a seriously gorgeous cocktail! Stunning photos. Thank you so much Emily! I appreciate it! I don’t mean to laugh at your misfortune as a youngster but I am absolutely doubled over at that story!! Hilarious! The cocktail is absolutely beautiful too. So golden and what a stunning photo you’ve taken. I love all those ingredients so I’ll be giving it a go! WOW, I thought you found the Aqua de vida del Presidente. Love the history, so full of details. 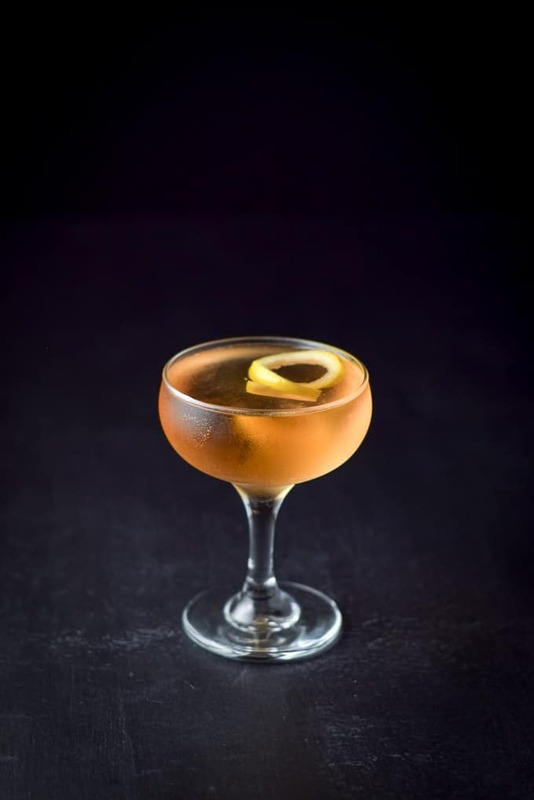 This golden drink looks so good that I will have to try it, I need some fountain of youth elixir,… to get born again. Hehe Laura! You are so funny. Give it a try, it is delish! Great looking cocktail and love that you added a little bit of history! I’ve got a major crush on Moody #3. I think a lot of other people do, too. Nice shot! !